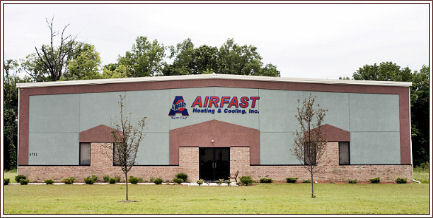 AirFAST Heating & Cooling: We're Fast! Welcome to Airfast Heating and Cooling, Inc. Airfast Heating and Cooling, Inc. is a locally owned and operated company that has been proudly servicing the Columbus areas environmental comfort needs since 1995. Airfast is a licensed, bonded and insured company that is well respected with numerous happy customers. Prompt, courteous service has been the foundation of Airfast’s continued success in a very formidable market. Are you looking for an HVAC specialist with your families comfort and needs in mind? Are you looking for a reliable HVAC specialist who can service and install all makes and models of equipment? Are you interested in saving money on your monthly energy bills? Are you looking for warmth and comfort in the cold of winter and cool air conditioning in the heat of summer? Are you interested in quality, reliability at a good price? Are you interested in a provider that will tailor a system to meet your individual and families needs?